The weather is getting colder and colder and all I want to do is to be in my comfy pj's and just be in my bed all day everyday… but of course, that's not even possible. I'm trying to keep my self busy so days would pass by a little bit faster. I'm excited 'cause me and my family will be celebrating Christmas and NY in the Philippines. Yay! So my apologies if I haven't been able to do outfit posts a lot. heh! As for this season, I say stick with comfort. I think it's one the best ways to achieve an effortlessly chic look. Especially this season, you don't want to be bothered by the cold weather and a soar foot at the same time while strolling, right? One of my best hauls this month was this pair of cutout boots from Zara. It's super comfy, stylish and can be easily matched to any outfits. 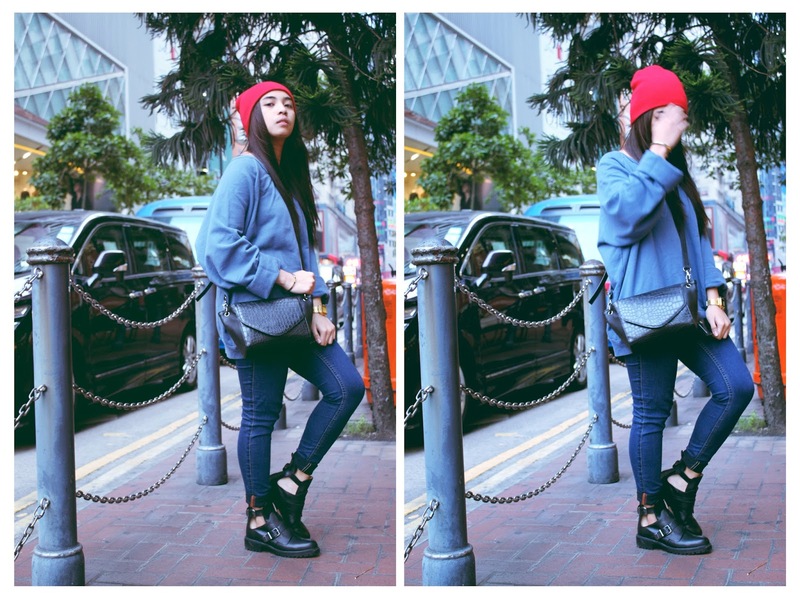 Lovely blog girl, I really enjoy reading through it, especially with your outfit posts! Keep it up, can't wait to see more from you! love the boots and beanie, and the outfit overall! see you soon!